We often hear on the news how we're a divided nation. Tensions run high as political, racial, and cultural divisions lead to hate, prejudice, and fear. Amidst the turmoil, one woman in an under-resourced community in Detroit, Michigan is taking small steps toward creating meaningful, cross-cultural relationships and bridging the divide. Rebecca Smith is the founder of Better Life Bags, a company that seeks to provide economic opportunities for women who might otherwise face barriers to employment. This is her story. Things You Don't Want To Miss: Meet Today's Guest. 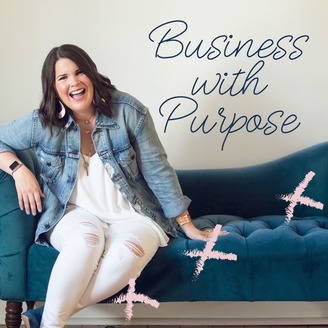 1:20 - Rebecca Smith is the founder of Better Life Bags. Better Life Bags is a custom handbag company located in the heart of Detroit, Michigan. Every bag is hand-sewn by a woman from their under-resourced community. Your purchase gives these women the opportunity to excel at a skill and provide for their families. Click the video below to learn more of Rebecca's story. 10:30 Better Life Bags will celebrate its tenth birthday this summer, and it really started as a hobby. In the summer of 2009, Rebecca was in the final months of her first pregnancy, and she was bored. She decided to make her own diaper bags, and at the behest of her friends, she decided to try selling them on Etsy. Around the same time, she decided to send a portion of her proceeds as a micro-loan to low income entrepreneurs overseas. 14:00 Her family moved to an under-resourced, ethnically diverse community in Detroit, Michigan. She needed help scaling her business, and she hired a Yemeni neighbor to help her keep up with the work. The two quickly developed a close relationship, and in a lightbulb moment, Rebecca realized she could use her business to provide economic opportunities to other women in the neighborhood. 20:35 - Rebecca is currently in the process of writing a book that tells the story of her journey. She's been reminded throughout the project that God is looking out for us, and that He leads us as we take small steps of obedience in faith. 22:13 - In the Old Testament of the Bible, we're constantly reminded of God's plan for His people. He's constantly leading the Israelites despite their shortcomings. Even amidst their fear, He offers protection as He leads them toward the Promised Land in order to accomplish His purposes for them. We're reminded of how difficult it can be to trust God amidst difficult times. However, as we look back over time, we begin to see His bigger plan. Sometimes, we simply need to follow him, one step at a time. 25:44 - It can be difficult to start relationships with people who are different from us. Rebecca shares how God used the story of Jonah to call her to love her local community. She shares how her neighborhood in Hamtramck, Michigan enabled her to develop relationships and bridge the cultural divide Americans often face. An Update On Better Life Bags. 37:00 - Better Life Bags has greatly evolved through the years. They currently employ about 15 women, and Rebecca shares how God has challenged her to consider what it means to do His will. 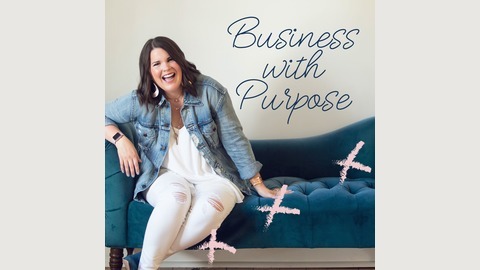 She saw the business grow immensely through its first seven years, and now as growth has leveled out, she's asking herself whether she can trust God's plan through a period of slow growth. She wants to follow His plan, and trust Him with the results, even if it means losing sales. 45:34 - Rebecca shares her love for sweets, her aptitude for long-distance road trips, and her longing to return to the 1950s. "It's about taking small steps and trusting God has good plans for us. We don't have to wear ourselves out because He has the plan. We just have to walk it."